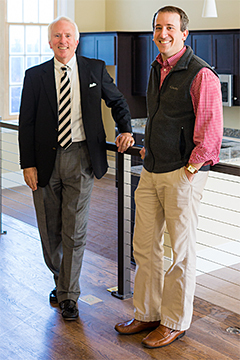 The father and son team of Jeff and Zack Wheeler combines decades of real estate experience with the innovation and technology needed today. Zack Wheeler began his real estate career during his senior year at the University of South Carolina by being accepted into the intern program at Coldwell Banker United, Realtors. Licensed since 2007, Zack's career has grown steadily each year. He was named Rookie of the Year for the company his first year in the business and has achieved his Short Sale and Foreclosure Resource (SFR) designation as well as his e-Pro Designation. He has been recognized as a member of the Circle of Excellence by the Central Carolina Association of Realtors and a member of the Sterling Society by Coldwell Banker Residential Brokerage. Zack is a master at using social media to successfully market homes, and researches heavily homes and neighborhoods for buyers and sellers coming to him for guidance. Jeff Wheeler started his career in 1976 with Tom Jenkins Realty and began a career that has spanned 40 years. In his first year became one of the firm's leading salespersons, was a lifetime member of the Million Dollar Club by 1979, managed two offices, and ultimately purchased the firm with his partner Whit Moore in 1988. In 2003 he was named Chief Operating Officer for the parent company, Coldwell Banker Real Estate LLC where he served for four years. He has served as a consultant to various real estate companies and has been recognized at the Real Estate Person of the Year in both Columbia and Charlotte. Jeff's role is to provide marketing assistance, strategic planning, and help in solving the transactional issues that face every sale. 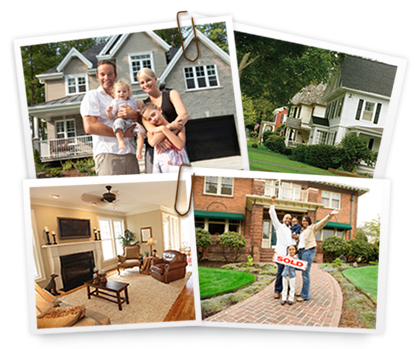 The team of Wheeler and Wheeler has over 40 years of experience in working with buyers and sellers and can help you achieve your home ownership dreams with all your real estate needs. I had the pleasure of working with Zack Wheeler for about three months while he assisted my relocation from Texas to Columbia as my real estate agent with Coldwell Banker. From our first telephone conversation, I could tell he was knowledgeable, accommodating, positive, and energetic. These traits never faltered throughout our working together, though I was perhaps a demanding and at times insistent client. Meeting Zack in person showed me another valuable aspect of his client relations. He treats his clients personally and warmly, and never gives the impression he has more important business calling, though he handles more than he shows. I’ve bought and sold through three other real estate agents in nine years, and I found Zack’s personal qualities to be what created the trust that is critical to a smooth and even pleasant buying experience. Real estate agents afﬁliated with Coldwell Banker Residential Brokerage are independent contractor agents and are not employees of the Company. ©2018 Coldwell Banker Real Estate LLC. Coldwell Banker is a registered service mark licensed to Coldwell Banker Real Estate LLC. An Equal Opportunity Company. Equal Housing Opportunity. Operated by a subsidiary of NRT LLC.